The most common benchmark for bond funds is the Barclays Capital US Aggregate Bond Index. It's an important index for mutual fund investors when you know how to use funds to invest in this total bond market index. Also known as the "BarCap Aggregate," it's a broad bond index covering most U.S. traded bonds and some foreign bonds that are traded in the U.S. The BarCap Aggregate was once known as the Lehman Brothers Aggregate Bond Index. The index consists of approximately 17,000 bonds, giving rise to the name "total bond index funds" for those index funds that track it. It invests across a wide range of securities, from investment grade and public to fixed income. It does not include junk bonds or tax-free municipals. ETFs that track the index include the Schwab U.S. Aggregate ETF, the Vanguard Total Bond Market ETF, and the iShares Core U.S. Aggregate Bond ETF. The iShares Barclays Capital Aggregate Bond Index (AGG) is the largest ETF of its kind, and Vanguard Total Bond Market Index Fund (VBMFX) is the largest bond mutual fund in the world. Investors can capture the performance of the overall bond market by investing in a mutual fund or an exchange traded fund (ETF) that seeks to replicate the performance of the index. One advantage of using ETFs or mutual funds that track the Barclays Capital U.S. 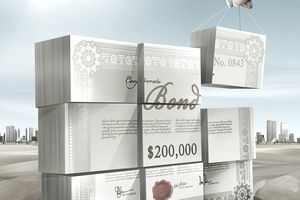 Aggregate Bond Index is gaining the ability to invest in several different bond types, such as corporate bonds, municipal bonds, and U.S. Treasuries of different maturities and duration. These can include short-term, intermediate-term, and long-term bonds, all in one fund. The bond market can be even more complex and difficult to predict than the stock market, so bond index funds make smart choices as a standalone fund as part of the fixed income of a diversified mutual fund portfolio. They can also work as a core holding with other bond funds to compliment them. Why Use Funds That Invest in the BarCap Aggregate? Like S&P 500 Index funds or Total Stock Market Index Funds, the index funds that track the Barclays Aggregate Bond Index serve the purpose and philosophy that if you can't beat them, you should join them. Broad indices tend to beat actively managed funds over time because index funds have such low expenses, and the human fallibility of active fund managers often causes them to lose the broad market indices over long periods of time, especially over 10 years or more. As is the case with any other mutual fund purchasing decision, investors should be sure that a fund tracking the Barclays Capital US Aggregate Bond Index meets their investment objectives and is suitable for their tolerance for risk. It's also wise to be sure the fund complements other holdings in your portfolio.